I’ve never tasted whisky from the Linkwood Distillery. Not because I’ve avoided it. Original bottlings of Linkwood single malt are rare. Just about all of the whisky distilled at Speyside distillery goes towards blends. Linkwood 37 was distilled in 1978. It matured in refill American oak hogsheads and refill European oak butts. It’s pretty inexpensive for a 37-year-old single malt, retailing for $900. 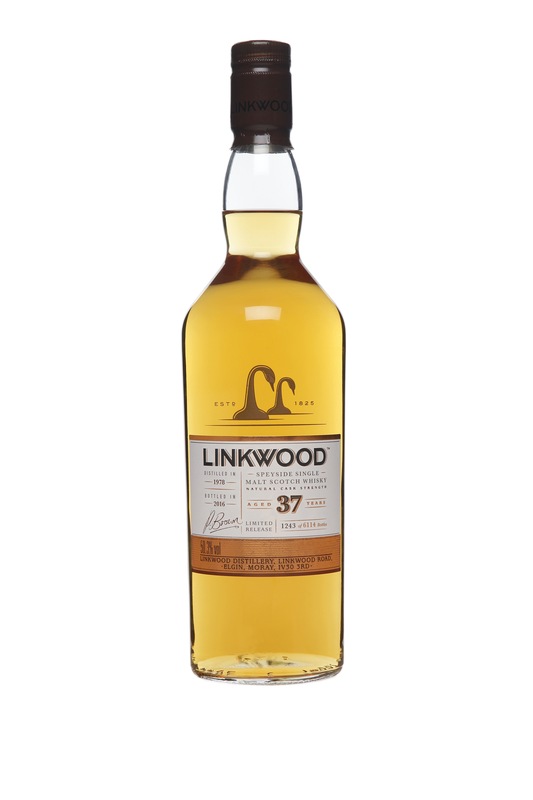 Linkwood 37-year is also bottled at cask strength (50.3%). Elegant. The soft, sweet nose features stewed fruit and some herbs, specifically fresh mint. A light toffee note becomes more apparent with some airtime, along with soft spice, sandlewood, and a floral note. On the palate, creme brulee develops into cinnamon sprinkled rice pudding and baking spices, which leads into some garden herbs. Things become a touch astringent towards the back palate. The finish features light spice and anise, as well as hints of fruit.